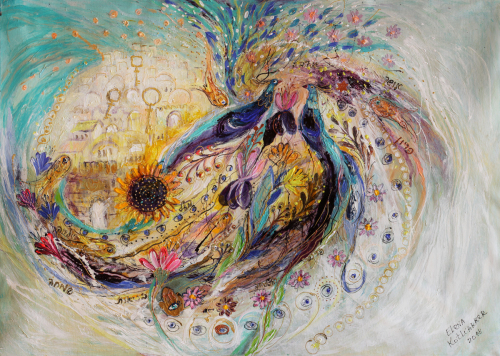 Description Truly enormous four-part contemporary Israeli art An artwork that lets you take a peek at the mysterious forces that drive Universe filling you with awe. 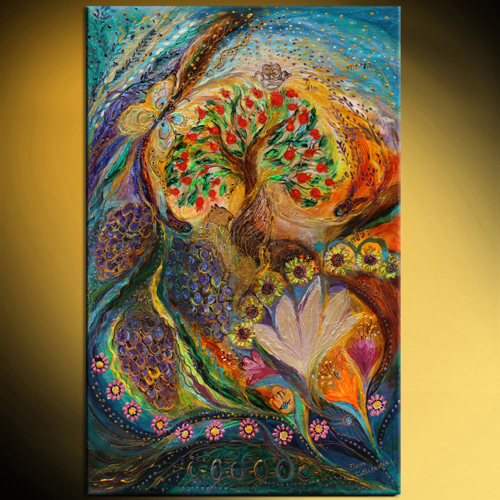 This extraordinary painting carries along the Jewish wine production heritage on thick brushstrokes that blossom into a river of vivid colors All the paintings are designed and created together on such way that one part is in harmony with other. It means that the each painting can be showed on both ways: as a part of the overall polyptych composition (recommended) or as a completely independent artwork. 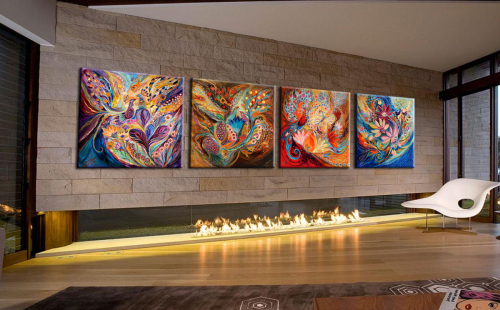 The size of the single part after stretching is 27 x 29 inches, so the whole polyptych will be 110 x 43 inches - absolutely enormous four-part artwork. 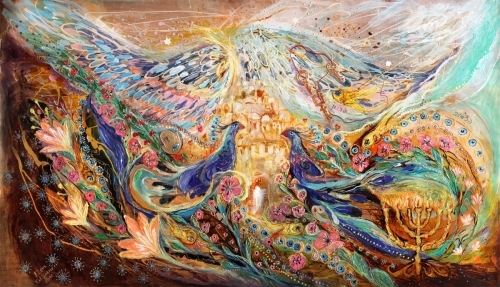 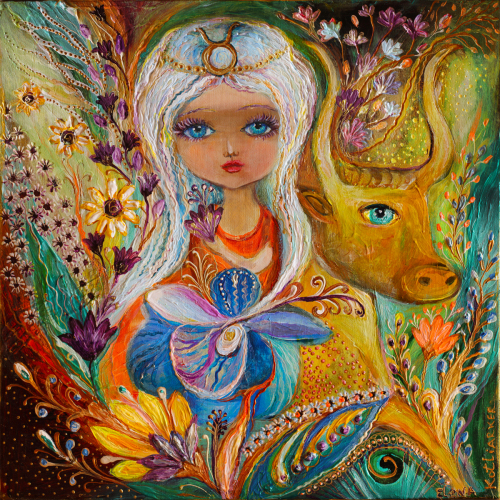 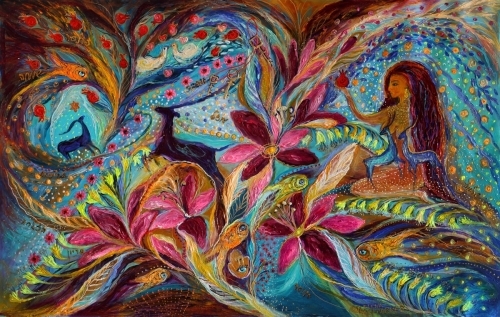 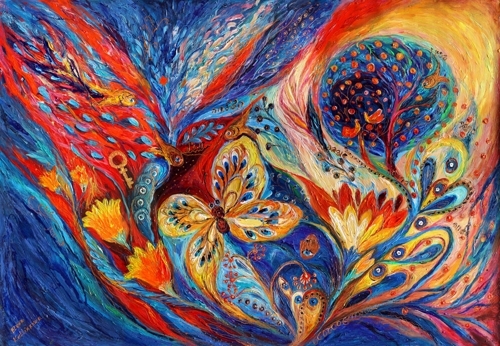 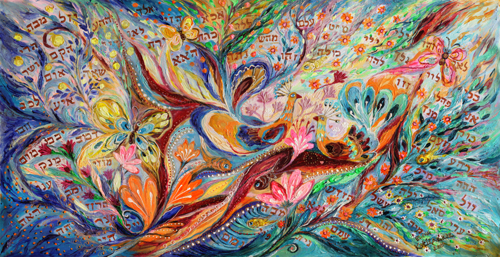 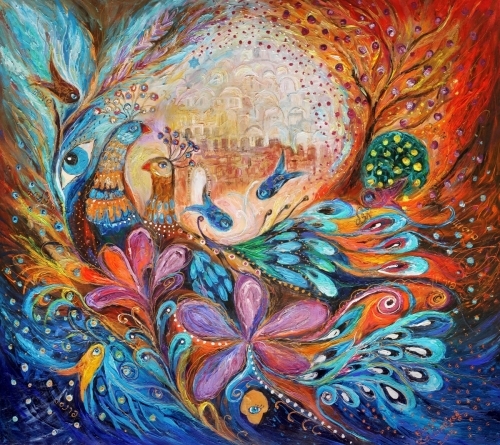 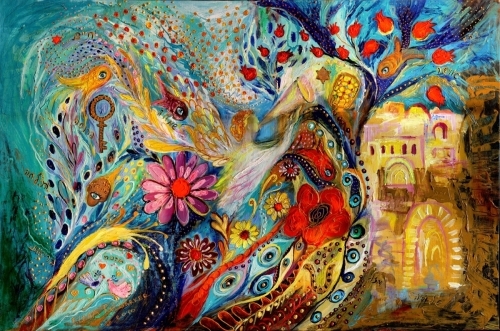 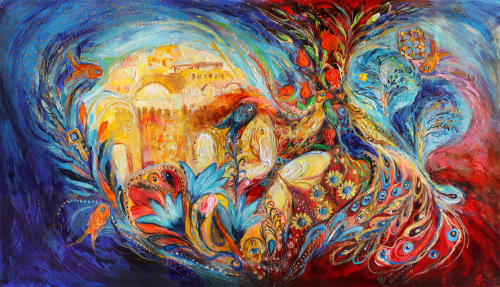 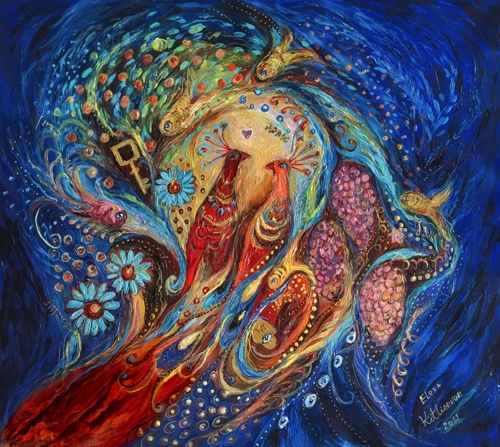 Each part is available for purchase as a self-sufficient artwork, but whole composition looks much impressive and also on sale with a good discount DETAILS * Name: Seven Species of Holy Land * Historical information: https://en.wikipedia.org/wiki/Seven_Species * Painter: Elena Kotliarker * Wall size: 110" x 43" (280 X 110 cm). 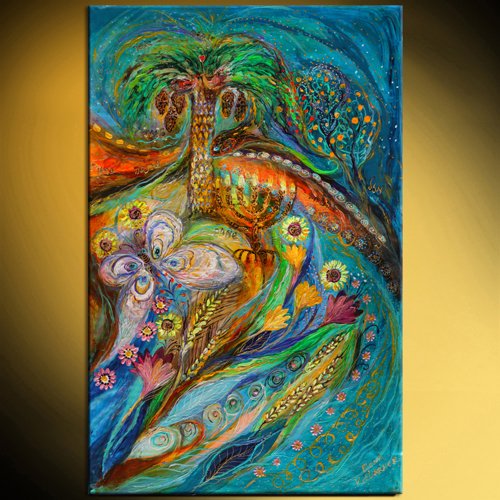 * Original handmade acrylic paintings on canvas * Style: Modern, Abstract Expressionism, Figurative * Certification of Authenticity in digital form provided * Express shipping 3-4 days worldwide * 30 Days full money refund accepted MEDIA: Canvas. 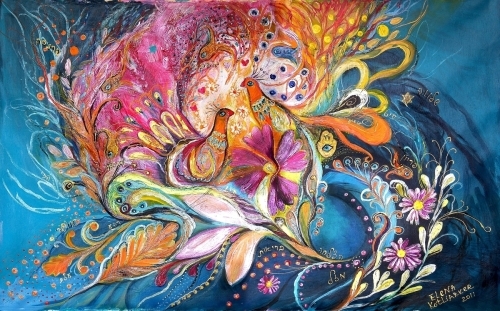 Pastel chalks, acrylic on the sand texture and finished with relief paint. 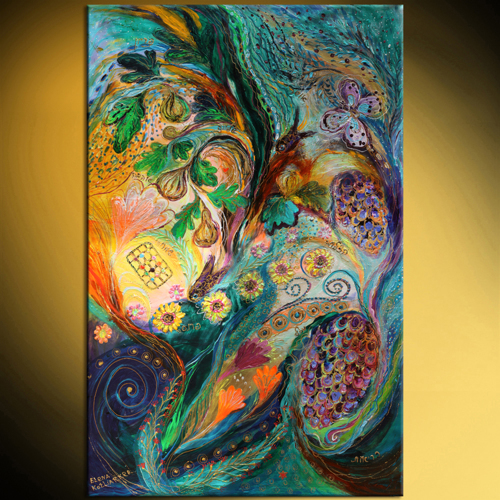 ITEM CONDITION: This painting is shipped rolled and UNSTRETCHED. 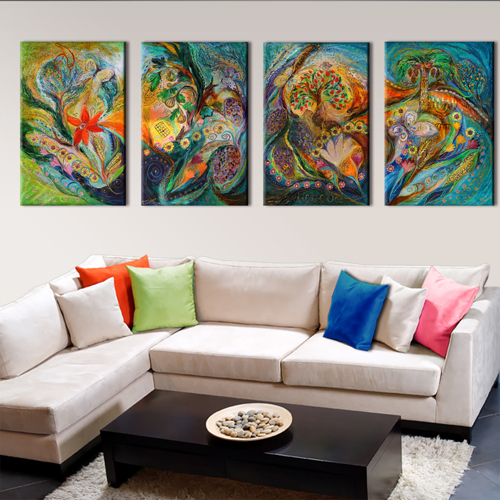 You will need to have it stretched at a framer in your area before it will be ready to hang. 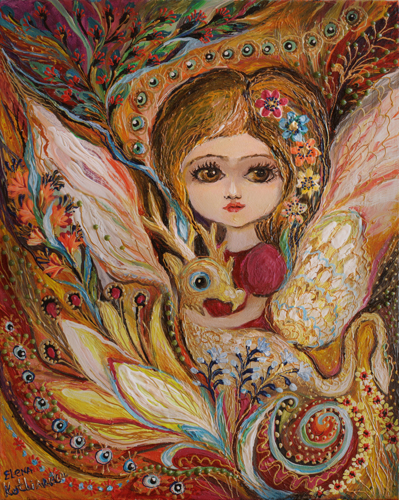 The declared size is after stretching.